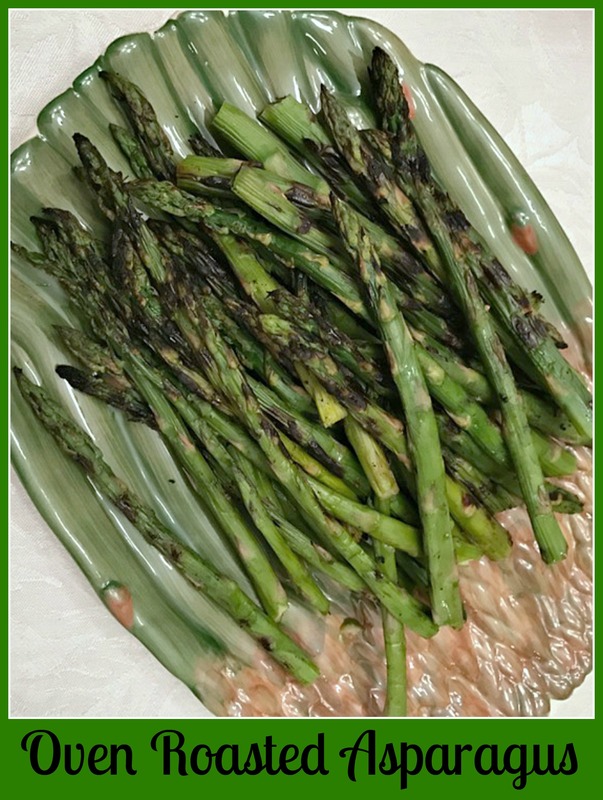 This simple way of preparing asparagus brings out the sweetness in the vegetable. Enjoy the healthy goodness! Asparagus is a very healthy vegetable that’s also versatile in so many dishes. Fresh or cooked. It’s a unique flavor that has become very popular in the past few years. I really like this simple recipe. It brings out the natural sweetness in the asparagus. Next time you see a good bunch, grab it and make it this way. 1 large bunch thin asparagus spears, rinsed and trimmed of the woody ends. 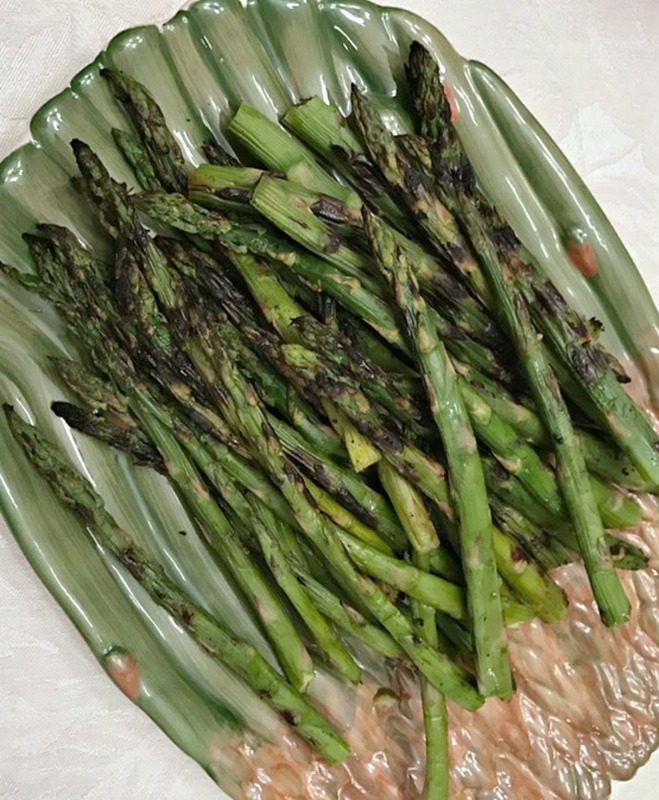 Place asparagus in a Ziploc bag or large mixing bowl, toss with oil, garlic, salt and pepper. Arrange spears in a single layer on cookie a sheet. Cook for about 12 to 16 minutes. This will depend of how thick or thin the spears are. After 7 minutes, you can shake the pan or with tongs, turn the spears over. This is optional. Taste on after 12 minutes to see if they are tender to your liking. Take out of the oven, place on serving platter. Drizzle lemon juice if using. Enjoy this delicious, healthy side dish.